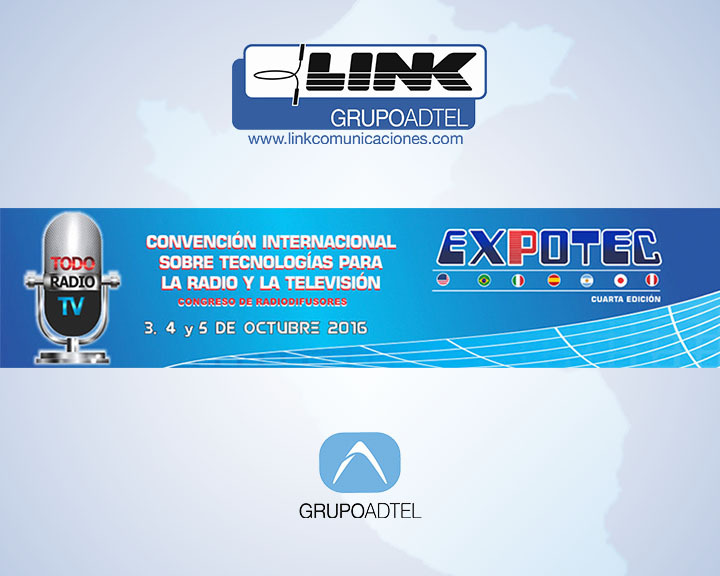 Link Comunicaciones, the FM brand of transmitters of Grupo ADTEL was in the Expotec 2016 fair in Lima on 3th, 4th and 5th October. ADTEL presents its new radio transmitters Advancast and Compact series, characterized by high efficiency and small form factor. On the occasion of Expotec, it has made a promotional campaign for medium and low power transmitters, specially adapted to the needs of the Peruvian market. Expotec has been confirmed as the main event in Peru in the market for radio and television.